We enjoy Christmas baking but it’s important for us to have the best baking ingredients stocked in our pantry but without the high costs. 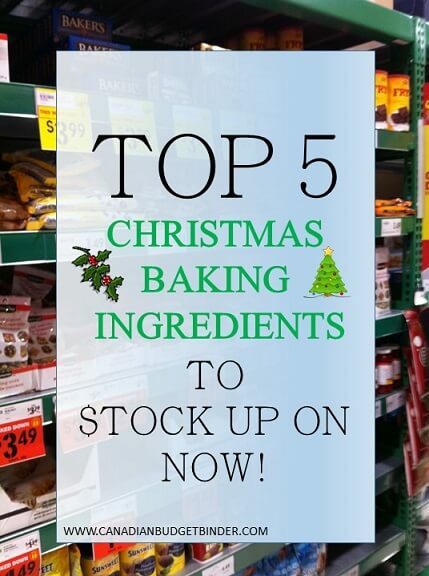 Today I’m going to discuss with you which of those baking ingredients you WILL want to stock up on now or risk paying a heavier price closer to Christmas and New Years. The moment Halloween is over and done with the Christmas flyers and holiday sales start appearing just about everywhere. Product sales throughout the year are orchestrated to perfection in chronological order because they know exactly what the consumer is looking to buy every month. Come November any savvy grocery shopper knows that the grocery stores start pumping out baking ingredients for great prices. Mrs. CBB and I don’t save money as a projected expense for Christmas baking ingredients so the money will come from our $235 monthly grocery budget or $25 stockpile budget. Each week when we menu plan we know that we have to start incorporating some of these baking ingredients if we intend to whip up our famous holiday treats in December. Most people don’t wait until the last-minute to bake for Christmas especially if their baking is for gift-giving. This is why you will see baking ingredients on sale in November. If you wait and try to buy your baking ingredients in December be prepared to possibly pay a steep price for some of those well-known money busters like unsalted butter for instance. 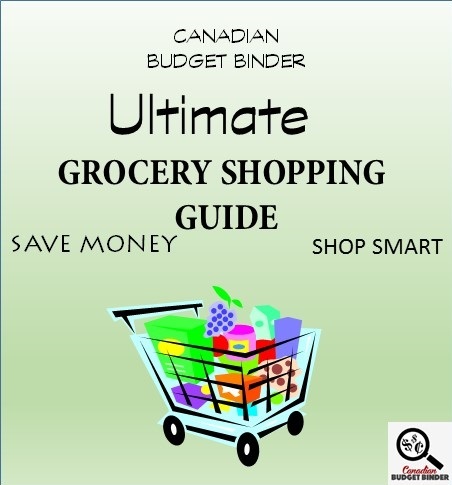 Many of you might shop at the Bulk Barn which is a great place to buy baking ingredients but you still have to compare prices because they aren’t always created equally. Probably one of the few reasons I would shop there is for variety and because of the $3.00 off when you spend $10 coupon they often have for customers online and in the weekly flyer. Depending on what Christmas baking recipes someone uses baking ingredients will vary from person to person. If you come from a Greek background or plan to bake Greek desserts you might invest in baking ingredients such as honey, flour, butter, nuts and sugar while they are on sale in November. Every culture has different types of signature treats for the holidays. In our house we bake a variety of Christmas balls that are a hit every year with our friends and family which means we have to stock up on butter, peanut butter, sugar, flour and baking chocolate. I would also include nuts, vanilla and almond extract, maraschino cherries, dates, icing sugar, condensed milk and coconut but these generally don’t break the bank apart from the nuts, pure vanilla and almond extracts. This is where that handy Bulk Barn coupon comes in to save the day. The great part is you don’t have to wait until November to stock up on baking ingredients for Christmas especially if you have a stockpile budget like we do. Every month we have $25 to spend on items we need to stock up on if we are low in the pantry. 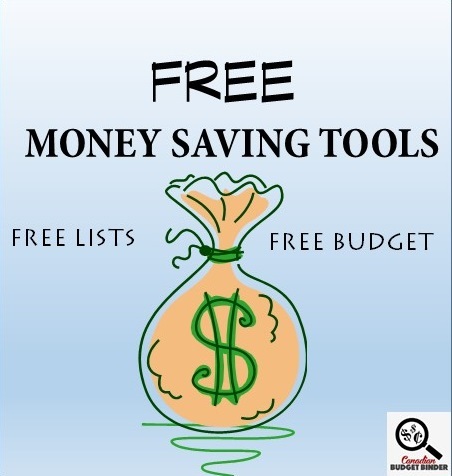 If you know what baking ingredients you will need it’s easy to watch for the flyer sales and coupons to help cut costs. If you can match baking ingredients with a sale, coupons and coupon app rebate you are well on your way to spending much less for Christmas baking. This will lighten the load come November when even more baking ingredients go on sale. Below are what I believe to be the Top 5 Christmas Baking Ingredients to stock up on right now in Canada. Unless you don’t mind paying $6.99 lb for butter or you churn butter yourself you should keep your eyes open for a great sale in November or even earlier as butter will last up to 3 months or more in the freezer. The lowest we’ve seen this year for butter is $2.88 lb for Lactancia butter which is amazing. If you have the spare cash grab what you need and save some money and freeze it. Every passionate cook who loves homemade food will have some form of flour in the home. There are many kinds of flour on the market but Whole Wheat flour, Gluten-free flour, Cake flour, Organic flour and All-Purpose flour are very popular and pricey. Over the past couple of months I’ve seen a 10kg of All-purpose Robin Hood flour on sale for $6.99 compared to upwards of $14.00 a bag regular price. If the price is right before November don’t be shy to stock up on a bag or 2 to fill your pantry needs for the rest of the year. If not you can bet it will be on sale at some point in November so don’t miss that sale. Christmas baking with nuts is essential in many cultures which means finding the best deal on many varieties of nuts mainly almonds, peanuts, walnuts, pecans and cashews is critical. Nuts can skyrocket your grocery budget to the moon if you are not careful. Buying 2lbs of almonds for instance at the Bulk Barn will cost $12.99lb unless they go on sale for $8.99-$9.99lb. Alternatively if you plan to bulk buy nuts you can buy them at Costco for about the same price as you would find them on sale at the Bulk Barn. Almonds at Costco for instance costs $49.99 for 2x 1.36kg bags. If you don’t want to chance it buying nuts at Costco is a way to save unless you have a nut wholesaler in your community that sells for less. Chocolate types and prices differ all over the world depending on whose brand it is and the percentage of cocoa in the chocolate. If you plan to buy chocolate chips to bake with even a large 1KG bag of Hershey’s will cost you $9.99 or $6.99 on sale. Bakers Secret chocolate squares are also popular but pricey $4.99 but you might even get lucky and find coupons for those and a sale at the same time. If you plan to use some of the best chocolate in Canada maybe you can bargain with your local chocolatier and see if he/she will give you a deal for bulk buying. Although sugars such as icing sugar, brown sugar and granulated sugar do go on sale from time to time that may change as time gets closer to Christmas. I can typically find granulated for about $1.97 for a 2kg bag on a regular ongoing basis, I’ve also seen it for $1.44 which is a great stock-up price. Come December you may or may not see some sugars go on sale so my suggestion is to get it while the price is hot. I asked my Facebook fans what 5 Christmas baking ingredients were must-have stock-up items in November and here is what they had to say. Nicola D. – Flour, icing sugar, brown sugar, lard and baking soda. Christine W. – I’d say flour, sugar (white, brown and icing), butter, eggs and cinnamon. Beth Anne – Candied fruit for Christmas cake, suet for Christmas pudding and some for the freezer ’cause I can’t get it the rest of the year, butter, sugar, and flour, for most everything. Remember if you are a Costco member November is another great reason to watch those sales. Buying in bulk at Costco has its advantages for some products but pair that with a sale price and you can pick up cheap baking ingredients. What 5 Christmas baking ingredients would top your must-have list to buy in November? Where are the best places to buy your baking ingredients? NEW!! If you want to play from outside of Canada and have PayPal and you win I will pay you $10CDN via PayPal. I use a random online generator to pick the winning ballot every month. October Winner- Ballot #8 Angela M. Congrats Angela, please email me your address. We don’t need much this week but I picked up a few flyer specials including the peanut butter and cheese that was on sale. There is a small grocery budget for us this month although we don’t have much to buy apart from baking ingredients for Christmas although we are scaling back this year. We just don’t have the time like we used to bake. I go into the store every 2-4 days as hubby has to have his bananas and he drinks a lot of milk so I’m having to buy more rather often. The 4.99 Cheerios boxes were the big ones then the following week the smaller boxes are on so I grabbed some more. Unless he gets piggy with them I should be good for a while with his Cheerios. I don’t go specifically for the meat stickers but I do look the counter over pretty good while I’m there for any good deals there!! I have a friend or two that don’t shop across the street often enough to make collecting the turkey bucks so if they get any they pass them my way…no argument form me there!! Week 1 of November and we came in under budget. Yes, there is Halloween clearance on it. Full size bars were a decent price and the rice krispie treats are handy on the go for hockey days. Better to have a few snack items than hit the drive thru every time. The pumpkins were a nice score at RCSS on Nov 1. They were just giving them away, no limit. First come, first served. We only took three, basically what our family could use as puree after I had already pureed my son’s jack-o-lantern. Feeling pretty good about it. We’ve already made two batches of pumpkin apple fruit leather with the apples I got from my in-laws two weeks ago. Mostly stock up items. I am hoping that we have stocked up enough so that we can buy ground beef next week, fingers crossed. It would be nice to have a burger to go with the buns in our freezer. Regardless, caffeine has become a major issue lately. I know hubby and I are reliant on caffeine, and I have been cutting back a great deal. I drink far less than I ever used to. Unfortunately, we were practically out of it all – coffee, pop and tea. Hubby has been suffering so much that he feels ill. So, this week I made getting some caffeine a priority. I can’t have hubby sick over the lack of caffeine, he is the only breadwinner right now, and going into the flu season in retail, if he gets run down, then the flu hits our house hard. I still am keeping my intake reasonably low, but at least he is feeling a bit better now. Another great deal on peanut butter again this week. Yay, we have five jars on our shelf now, we had been out for almost a month. Peanut butter and eggs are our bigger sources of protein right now, so it’s a huge score. The popcorn is one of our snacks we have (not frequently), but when we run out, I like to replace the kernels immediately. I couldn’t believe the prices of the popcorn kernels since I had last purchased (spring or last winter, I’d have to look back). Wow, crazy expensive. Hard to believe the organic was a better bang for the buck. Yes, it was clearance, but the regular prices of the PC kernels was 3.99 and the Orville Redenbachers was 4.50. And, the containers were smaller than the organic one. We haven’t tried it yet, but I am thankful that I found a bit better deal with a good expiry date – they must have been changing the planogram. Anyhow, I hope next week to be a little lighter on the pocketbook, but if I find some items to stock up on again, I will have to just in case hubby’s hours get cut after the Christmas season. Not a lot of choice or meat in the freezers right now (there is loads of pumpkin puree and shredded zucchini), but at least the pantry is looking better. Great shopping this week and It’s nice to hear you are stocked up a bit in the pantry. The peanut butter was a great deal for $2.47 considering i’ve seen it at $7.99 regular price at some shops. If your guy needs caffeine he needs it. Trust me when I say I would be a mess if I didn’t have my morning fix. We used to buy our black tea at the dollar store as it was great tea. Maybe with that GC you won you can buy a big honkin can that will last you both a long while. 🙂 It’s nice to hear you being much more positive and I agree it’s important to keep healthy because loss of work really can put a dent in anyone’s budget if the employer doesn’t pay for sick days. Keep up the great shopping. Mr.CBB You get ballot. 4. Peanut butter and eggs tend to be our biggest source of protein, it’s a shame meat is so pricey, but I scored as much ast the budget would allow, it used to rarely go on sale two years ago, now it does from time to time. However, in the end, the caffeine that I bought hubby wasn’t good either. This diet brand didn’t do wonders for his stomach. Bummer. Oh well, I will keep trying. The dollar store coffee was dreadful, however hubby liked it better than I did. I wish he would drink black tea, he sticks to mostly herbal. I can go without coffee, but I would love some early grey or earl grey with vanilla and then I’m all set. We got the gift card in the mail this week, I do plan to use it my next RCSS Tuesday shop. I look forward to it since I actually went to the butcher and got almost $10 of ground beef. And every bit of it is already gone and it was so good – that will show up on next week’s shop. I just bought a bag of flour for here at No Frills, the no name stuff works just fine. I will stock up if I find a good deal on it any time of the year!! I will be watching for the Bakers chocolate squares to go on sale as I use those for my Naniamo squares, all three kinds. Where you make the balls at Christmas I make squares and a couple of fruit cakes. I will be double checking my recipes and my supplies so I have a good idea what I still need to get on sale!! 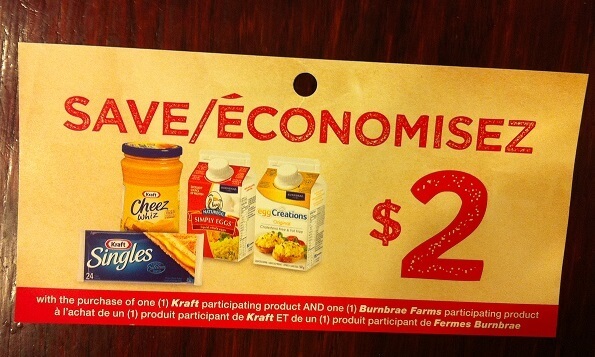 I’ve got three pounds on unsalted butter in the freezer but I still watch for deals on butter. If I can get hold of a coupon for there I think I might check out Bulk Barn for my candied fruits this year, I think the one in Stratford is off Ontario St……. Oh ya it works just as well. It’s probably all from the same manufacturing company as the brand name anyways. lol. The squares are pricey but if you watch you may find a coupon and a sale at the same time bringing them to around $2.99 each. Weekly Overview (your final thoughts): This is our spending for the month of October.My fridge and freezer is sooooo full, I can’t get any more in it. I expect in Nov, our spending will drop even more. I make our bread, in the bread machine. I’ve found the best price for yeast is at Bulk Barn @$7.09 (454g). Then I noticed in another area of the store ‘instant yeast’ for $4.99. I did a google, and they are interchangeable. So I bought it….can’t tell any difference, except I saved $2.10. Well, this month is going to be really, really tight! I see lots of vegetarian meals and soups coming our way in order to get our budget back on track before December hits with all the holiday shopping. I am well stocked with our gluten free flour, brown sugar and icing sugar. I do plan to watch for sales on white sugar and mincemeat plus we’ll pick up more unsalted butter when we head to the US when hubby is on vacation. Maybe I had best plan on 3 “No Shop” weeks here in Canada this month…except of course if I spot a Christmas baking sale. I have a reserve set up to take advantage of the sales this month. OUR NEXT USA SHOP MAY BE in December while hubby is on vacation. OUR CURRENT TOTAL UNUSED RESERVES ARE $1,083.39… that is a $937.50 carry-forward from 2013 & 2014 and $145.89 in NEW 2015 savings after spending $597.93 of the reserves in SEPTEMBER and OCTOBER. This also means that with $190.00 to start NOVEMBER less $130.94 overage carried forward from OCTOBER less $0.00 transferred to the various savings reserves less $0.00 transferred for Points Redeemed = $59.06 plus an additional $0.00 saved in our US grocery reserve, we opened the month of NOVEMBER with $59.06 available to spend on the Canadian side of the border LESS the funds we have spent of $4.69 on our groceries (cash & points) so far this month and have $54.37 AVAILABLE for the month of NOVEMBER. My GGC for the past 2 weeks. Overview: 1st week – I would have been fine if my daughter didn’t get sick and needed more cough medication. Next year, I’m going to be taking these types of items out of the food budget so that I can truly see what is food related purchases versus everything together. I realize that I have another week left in this month but I’m definitely going to try and keep things down to a minimum so not much carry forward is needed. Overview: 2nd Week – I’ve been looking the amount left in my food budget and if I wipe the slate clean, I’ll still have enough to make it to the end of the year. I’m going to try and clear off this balance by cutting back but I’m not sure how feasible that it be.